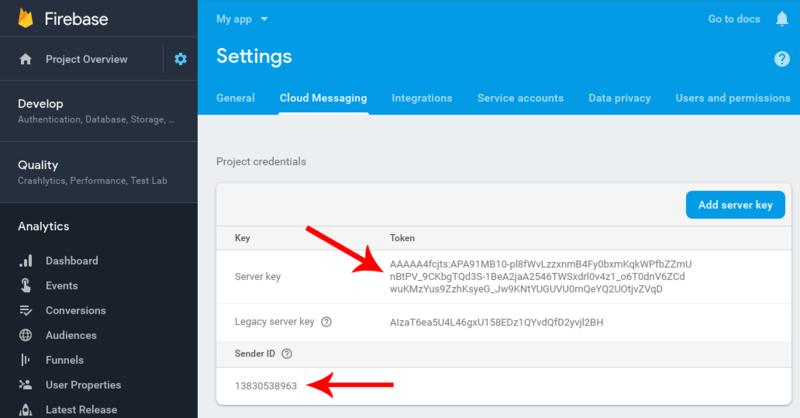 Locate your Server Key and Sender ID in the Firebase project Cloud Messaging settings. Go to your WonderPush dashboard, in the Settings / Configuration page, select the Android app tab. Replace YOUR_CLIENT_ID and YOUR_CLIENT_SECRET with the appropriate values you find in the Settings / Configuration page, in the Android app tab. Replace YOUR_SENDER_ID with the Firebase Sender ID from previous step Note that it's important to keep the double quotes as part of the third argument as this represents a string in Java code. 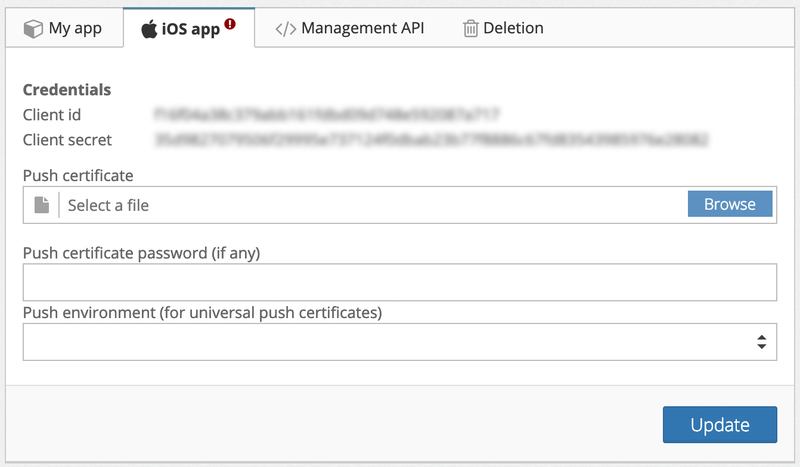 the Push environment (choose Development for testing with an app deployed via Xcode, and Production for an app deployed on the AppStore). We have nothing to do with iOS.